Dr. Ralf Kneuper Consulting — Software Quality Management and Process Improvement was founded in 2003 to support companies by consulting, training and performing appraisals according to CMM and CMMI. Before that, Ralf Kneuper had acquired many years of experience in quality assurance, quality management and process improvement. For many years, he held a formal qualifications as a certified SCAMPI lead appraiser for CMMI for Development (CMMI-DEV) and for Services (CMMI-SVC). 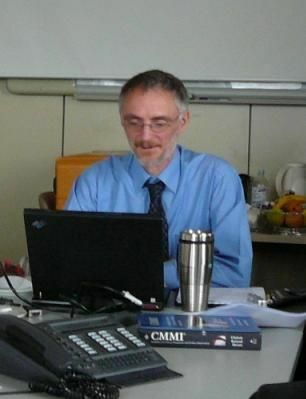 Apart from his work as a consultant, Ralf Kneuper now holds a professorship in Business Informatics and Computer Science at the IUBH International University of Applied Sciences. A large number of publications confirm his relevant expertise. In 2016, Ralf Kneuper additionally gained a formal qualification as a certified Data Protection Officer and now supports small and medium-sized offices in setting up adequate data protection measures. Dr. Ralf Kneuper Consulting is a very small, independent company, with only Ralf Kneuper himself as employee. Ilona Paukert-Kneuper, consultant. She supports service organizations in quality management.